Sara Polon, who started fresh soup company Soupergirl with her mother Marilyn in 2008, will appear on ABC's "Shark Tank" in late October. Polon's soups are all plant-based and include Armenian lentil eggplant and creamy curried sweet potato corn. WASHINGTON — Sara Polon, who started fresh soup company Soupergirl with her mother Marilyn in 2008, will appear on ABC’s “Shark Tank” on October 21. Polon, a former stand-up comedian, has grown the business to 35 employees and two retail locations in D.C., a home soup-delivery service and an expanding retail network including local farmers’ markets, more than 50 Whole Foods and other natural-goods stores throughout the Mid-Atlantic and 20 Costco stores from Massachusetts to D.C. But a Shark Tank investment would surely take Polon’s soup business to the next level. 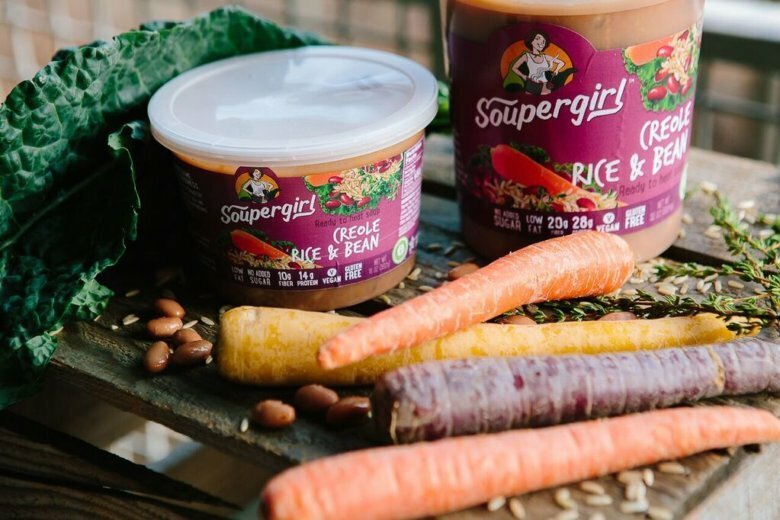 “We’ve succeeded in going up and down the East Coast, but what we’re trying to do is get as many consumers as possible eating Soupergirl soup, and to do that we need to do some upgrades, Polon told WTOP. “We need to stay true to our core values of sourcing responsibly — cooking small batch and all-natural — but enable us to expand smartly and responsibly, and hit every state in the country,” she said. Polon’s soups are all plant-based and range from Armenian lentil eggplant and creamy curried sweet potato corn, to southwestern black bean, zucchini chickpea bisque and tomato gazpacho. “Small batch,” though, does not mean Polon and her mother spend hours stirring small pots on their kitchen stoves. “We have a series of 80-gallon soup kettles. We used to cook in 40-gallon batches. When it was just me and my mom, we cooked in 40-quart pots, so that has been our expansion,” Polon said. She estimated they produce “thousands” of gallons of soup a week. Soupergirl’s Sara and Marilyn Polon will appear on ABC’s Oct. 21 Shark Tank episode.